However, that was not the only main news that the company announced at the event. Along with the smartphone announcements, the company also confirmed that several of its smartphones including the ZenFone 4 models as well as last year’s ZenFone 3 series devices would be receiving Android O update. Marcel Campos, Head of Global Content Marketing, Asus who was present during the launch event confirmed the news about the update. He also stated that the Asus ZenFone 4 models like the ZenFone 4, ZenFone 4 Pro, ZenFone 4 Selfie, and ZenFone Selfie Pro, will debut ZenUI 4.0 the company latest Android skin out-of-the-box. Further detailing the changes in the new ZenUI 4.0, the Taiwanese company claimed that it’s the “lightest Android UI skin to date” from Asus. While hoping to bring changes with the new UI, Asus has claimed that the new ZenUI 4.0 will significantly come with less number of bloatware. SO from 35 preloaded apps, ZenUI 4.0 will bring only 13 pre-installed apps. 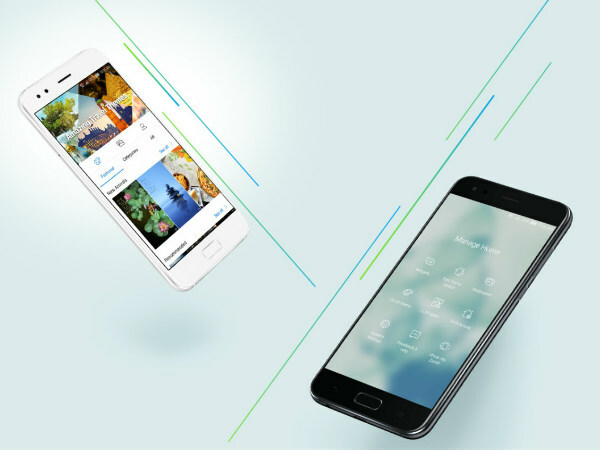 The company also touted that ZenUI 4.0 will bring improvements and boost speed in performance of popular apps. Likewise, Asus also announced that ZenUI 4.0 will be rolled out to ZenFone 3 range soon after the release of the ZenFone 4 series handsets. As for Android O, the company has noted that the supported handsets will receive the update by the second half of 2018. And when that happens these smartphones will likely be receiving Android O new features like picture-in-picture mode, unread notification app badges, better Bluetooth audio support, and adaptive icons amongst others.